https://nicebeauty.com/eu/benecos-natural-liquid-eyeliner-3-ml-black.html 71155 Benecos Natural Liquid Eyeliner 3 ml - Black 9.00 16 EUR InStock /Brands/Benecos 0 Beneco's Natural Liquid Eyeliner is a liquid black eyeliner for precise and easy application. The eyeliner has an incredibly manageable applicator that allows an elegant thin or dramatic thick line. With this eyeliner, you will be able to create the most seductive cat eyes, or simply use the eyeliner to define the eyes. Beneco's Natural Liquid Eyeliner has a long shelf life. This delicious liner is organically certified, 100% natural and unparalleled parabens, mineral oils, silicone, PEG, synthetic color, fragrance and preservation. 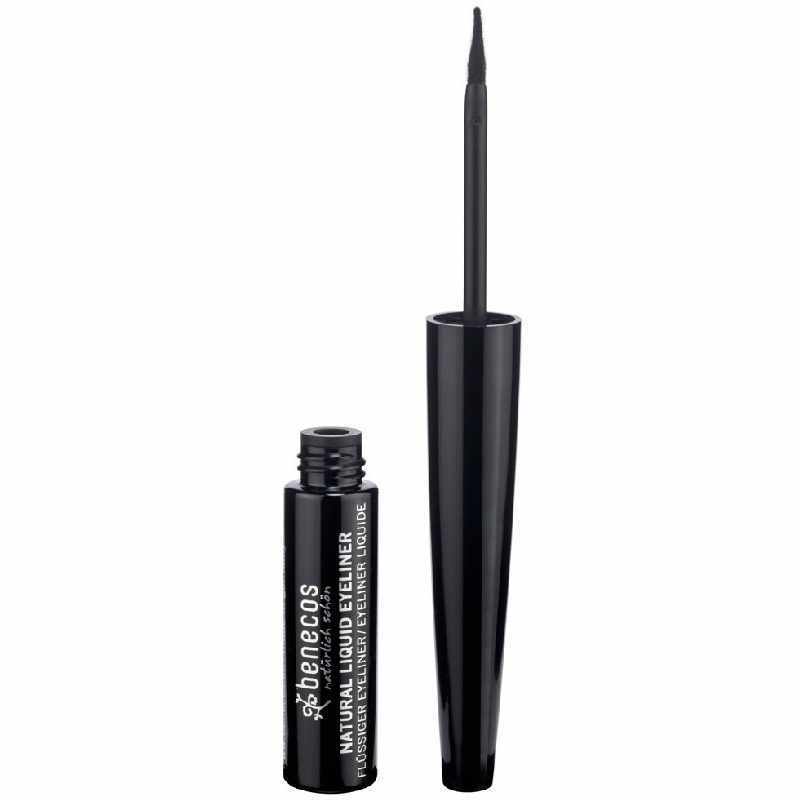 Beneco's Natural Liquid Eyeliner is a liquid black eyeliner for precise and easy application. The eyeliner has an incredibly manageable applicator that allows an elegant thin or dramatic thick line. With this eyeliner, you will be able to create the most seductive cat eyes, or simply use the eyeliner to define the eyes. Beneco's Natural Liquid Eyeliner has a long shelf life. This delicious liner is organically certified, 100% natural and unparalleled parabens, mineral oils, silicone, PEG, synthetic color, fragrance and preservation.